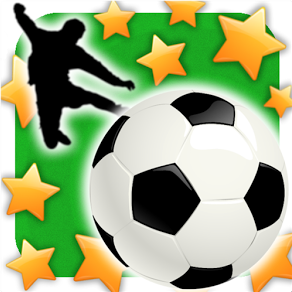 New Star Soccer from New Star Games has two modes, one free and the other requiring an IAP. Arcade mode is free and career mode requires a purchase. The game is free to download either way and you can decide later if you want to pay and unlock career mode, but arcade mode alone is a lot of fun, so let’s talk a little about it. In arcade mode the objective is simple – to score as many goals as possible. That’s how it goes in the real game of course, but this being arcade style, it’s more freestyle than a simulation. There are also several obstacles in your way such as high winds and defensive walls, but keep playing and you’ll score the goals. Simply drag an arrow to aim and tap the ball to set the spin degree and height, than fire away. The graphics are simple and retro like. New gamers might look at it as too basic, but if you’ve played 90s games it will bring back memories of those pixel classics. Arcade mode has in app purchases, but you don’t need to pay for this because if you keep playing the cash will keep flowing anyway. The controls are easy to learn, but the levels do get harder but not unplayable. Career mode is more involved and requires management of your salary as a player, setting aside expenses, managing relationships and so on. To put it simple, the free version lets you play arcade soccer while the IAP based career mode is more RPG.